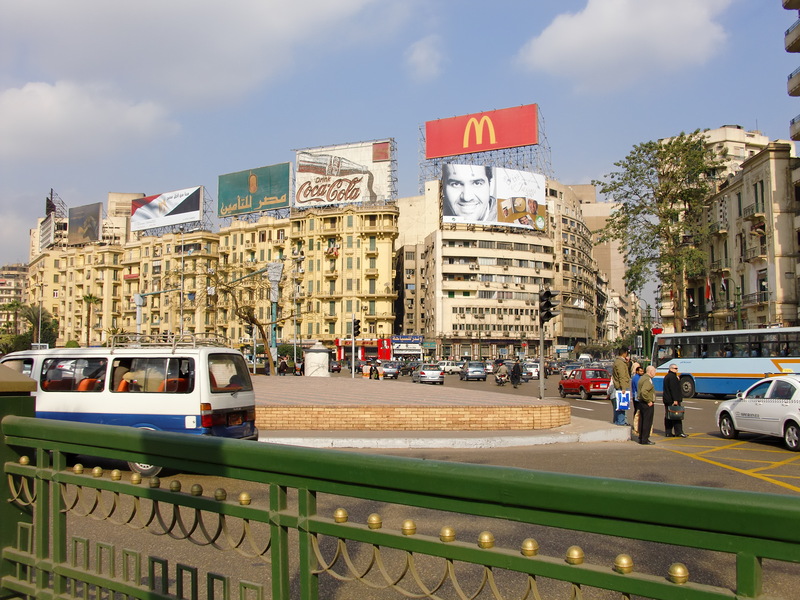 It was taken in Tahrir Square, Cairo, in January 2010. 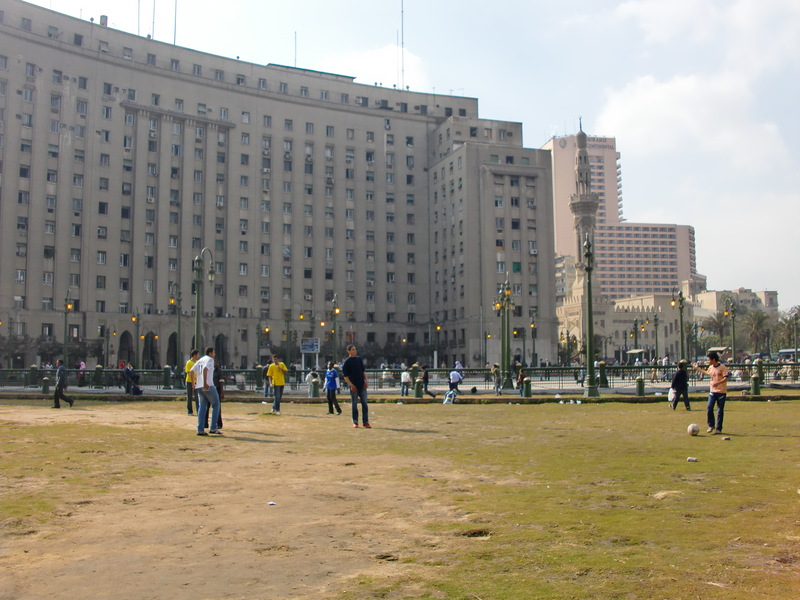 Tahrir Square was a very different place a year ago today, when it was the focal point of the Egyptian revolution which eventually toppled Hosni Mubarak. Today the name is synonymous with memories of violent conflict, and the blood of many people guilty mostly of “just” believing in the future and demonstrating for positive change. One year on, I simply wanted to remember my memories of a peaceful place. And my hope that positive change may one day arrive in a country that I very much enjoyed travelling in (more than I ever thought I would). Landing from Borneo with 12 hours before my flight home, there was time enough for more exploring of Singapore. Having already seen a barrel load of monkeys on this trip, I decided to enlarge the barrel! With my finances in end-of-trip mode I decided against an airport taxi, and opted for public transport to Singapore Zoo (it’s an easy ride to Ang Mio Ko MRT station, then a 138 bus, should you ever wish to try it for yourself). You can buy a joint ticket for the Zoo and Night Safari but, having visited the Night Safari at the start of my trip, I can confirm it’s not worth bothering (too dark to see most animals properly. Or at all, in some cases). 1. Walk round, don’t take the zoo train. It’s not a huge area to walk round even in the heat (and/or heavy rain), and going at your own pace means you get to spend more than seven seconds with each animal. 2. After the entrance, turn immediate right for proboscis monkeys. Easy to miss, hilarious to look at with those noses. 4. Don’t ignore the Primate Zone (oh, and the zoo train can’t get in here), which has about eight different species. By the way… what is the collective noun for a group of baboons? I’m going to refer to it as a ‘bum rush’ from hereon in! …and otters . Who move too damn quickly to photograph (they probably have a very good agent who’s fiercely protective of their image rights. Or something). I was taking this selfie with a statue of a famous former resident when the lazies in the zoo train (see above) came past. Cue much laughter. I think I’m in a lot of people’s holiday photos. Following a bumpy-as-hell bus trip broken up by another roti stop, the canopy walk at Poring Hot Springs and a shop in Ranau that jointly resembled Grace Brothers and the Naboo-tique, we arrived at Mesilau. It started raining during breakfast (chicken sausage ‘Julienne’ style. Really) on Friday morning, and continued for a large part of the 8km hike. That doesn’t sound much, but think about 1,500m of climbing, and the effects of altitude. Also, the heat and humidity (wet inside your cagoule from sweat), plus the Mesilau trail is the hardest route up the mountain, with lots of ups and downs and some very steep climbs. I collapsed into a chair, and promptly drank 11 cups of sugary tea before progressing to the (cold) shower, dry clothes and food. Over the evening my headache and dizziness got worse, then the shivers started. By the time of the 2am alarm call (you leave the camping huts early to summit at dawn), I was also massively suffering from nausea and shivering uncontrollably, so I had to take the sensible option and not attempt the summit. Finally managing to sleep a little, at 6am I got up to watch the sun rise. I then climbed another 300m up on the summit trail to see if the ascent & descent helped my altitude sickness. It didn’t. Only descending, once Dave, Yvette, Khan & Manit returned from the summit, helped.